One trucking analyst expects industrial technology to be a strong performer in 2019, but construction to be weaker than it’s been. It won’t be long before year-end informed opinions and wild guesses appear. In the meantime, here’s an early jump on 2019 predictions and trends that will extend beyond the new year. The points were made by speakers at the recent MarketWaves 18 conference near Dallas, put on the by trucking data company FreightWaves. INTEREST RATES. Rates might well rise, said Jason Schenker of the Futurist Institute. Two factors are an increase in the national debt, which he said is likely, and further trade problems with China. WHAT’S HOT AND NOT. Growth sectors for 2019 are e-commerce, industrial technology and consumer goods, Schenker said, with automobiles, construction, metals and mining performing below average. Most of his clients are bullish on 2019’s economic performance, but over 80 percent of them expect a downturn in 2020. USED TRUCKS. Expect prices to drop in the first quarter, as much as 40 percent, said Dean Croke of Freightwaves. Even with the favorable tax law changes in depreciation, the level of new-truck orders this year has seemed too high. ELECTRIC TRUCKS. They’ll be viable in heavy-duty trucking, but only for short-haul in the near future, said Eric Fuller, president and CEO of U.S. Xpress. Electric-powered trucks are “not ready to go that 500 miles we really need,” but that could happen in five to 10 years. AUTONOMOUS TRUCKS. Integration of long-haul autonomous trucks will be slower, Fuller predicted. Level 5 autonomy, with no person in the truck, is 20 to 25 years out. “That last 5 percent of the technology is going to be the hardest to fix,” he said. SMALL FLEETS’ ATTRACTION. Drivers will continue to choose smaller fleets, said Jeff Tucker, CEO of Tucker Company Worldwide. 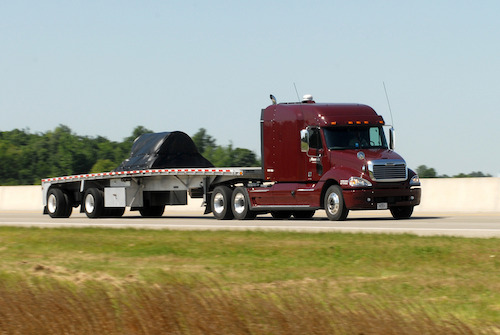 Of the hundreds of thousands of driver jobs created in the last six years, with “more than a two to one ratio, those drivers are entering one-to-100 truck fleets,” he said. Of those, most are joining or starting fleets of one to six trucks, Tucker said. That’s driven in part by market data from truckstop.com and other providers that make it easier to work for yourself, Tucker said. BLOCKCHAIN. This buzzword of the data world, referring to the use of a distributed ledger with immutable entries of all kinds of data visible to multiple parties, was mentioned often by MarketWaves presenters. However, its widespread adoption within trucking is years away, said Brad Hollister, CEO of SwanLeap, which uses artificial intelligence and machine learning for supply chain automation. Too many trucking companies are “on a 1990s platform,” so it will be difficult to get agreement on software standards that work for the many participants engaged in a shipment that’s tracked via blockchain. MISSING METRICS. Not just outdated software, but an outdated focus on the wrong metrics has created a “false sense of security” for some working in logistics, said Brian Bowers of Freightwaves. “The pace at which data is being captured and analyzed now far exceeds the pace at which we’re learning and applying knowledge to our lives and organizations,” he said. AI AND FREIGHT. Artificial intelligence advances are critical in efficient freight matching, said Shaleen Devgun of Schneider National, which he said has been investing in modern data platforms. “Someone needs to play Cupid to get demand and capacity together,” he said. HIRING DATA GEEKS. Larger carriers and logistics providers are increasingly hiring people with advanced expertise in data and logistics. “We have MBAs from virtually every major business school,” said Grant Goodale, co-founder of Convoy, whose software helps create more efficient routes for drivers with batch shipments. PREVENTIVE ANALYTICS. One data application is to anticipate and avoid things that can make a delivery late. Echo Global Logistics Vice President Scott Friesen referred to creating “anti-events,” that is, “adding value in a way to keep those things from happening.” Sometimes it’s just one minor incident, such as a fork lift driver being sick and missing a shift, that “creates a whole cascade of events,” he said. THE FRESH PRODUCE CHALLENGE. Constant improvements in logistics and the growing availability of data and will change the fresh produce market, said Jaco Booyens, co-chairman of Eden Green Technology, described by forbes.com as “a next-generation vertical farming company that aims to democratize safe, nutritious produce.” Farmers’ “number one headache is trucking,” he said. It often takes seven to 10 days to get produce from farm to retail shelf, meaning it’s lost more than 60 percent of its nutritional value and was harvested so prematurely that it lacks in taste. Expect fruits and vegetables to be grown closer to population and distribution centers.